Claire is hosting Mr Linky this week! 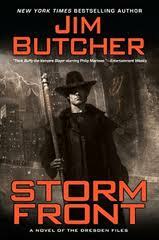 Storm Front by Jim Butcher - This is going to be a reread for me, but I kind of stalled on the series so I am hoping that the RIP VI readalong is going to kick start my reading of the series again. 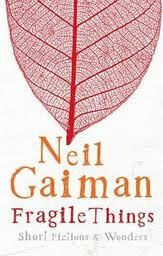 Fragile Things by Neil Gaiman - Another RIP VI readalong. I have already posted my thoughts about the first part of the book. 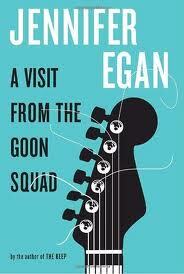 A Visit from the Goon Squad by Jennifer Egan - Will this be the lending period when I finally read this book? A Lady of Persuasion by Tessa Dare - I don't know what happened to this book. It was in transit between two branches for about two weeks. I went in and asked them to look for it and it showed up a couple of days later. Imperial Highness by Evelyn Anthony - There really isn't a lot of fiction about Catherine the Great around, so when some people were chatting about this series on Goodreads it seemed like a good idea to get it ILL'ed to me. 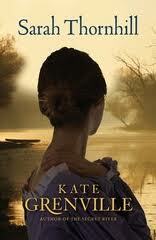 Sarah Thornhill by Kate Grenville - Been waiting for this one for a while. A long time ago, I read a couple of Evelyn Anthony's mysteries. I really liked her books. Would like to read A Visit from The Goon Squad. I don't mind Harry Dresden. I think I liked the TV Series more though. I just loved A Visit From The Goon Squad! It was such a neat book, and I hope that you really enjoy it too! I think I borrowed Goon Squad twice or thrice before deciding that the book was just not for me. I hope you have better luck with it. I used to love Evelyn Anthony's books but a long time since I read one. I'll be interested to know what you think of Goon Squad. I've convinced myself that I won't like it so have stayed away from it so far. Several people have recommended Jim Butcher to me and after watching Dresden Files the tv show I've added them to my list. Now I'm just waiting for the first one to become available (hate to not read series in order, always gives me that "what if I'm missing something" feeling). Magic is fun! Will this be the lending period when I finally read this book? LOL! I ask that same question now and then myself!